During his first election into office, Mayor Reed committed to implementing an initiative designed to equip local women business owners with the tools needed to support their business aspirations, while minimizing some of the challenges and roadblocks unique to them as women. Creating a safe, collaborative and supportive work space, served as the catalyst for his vision. WEI will function as an incubator for the selected participants while also providing community outreach, educational workshops and mentorship engagement, to aspiring business owners and future entrepreneurs. We believe in dreaming boldly while planning strategically. We believe in businesses built on integrity, led with character and fueled by innovation. We believe in leveling the playing field while raising the standards. We scoff at inequity, overstep conformity and laugh at the status quo. We stand for celebrating diversity and applauding inclusiveness. We champion for creativity through action, linking purpose to passion and giving voice to audacious vision. We believe courage is mandatory and mediocrity is unforgivable. We stand for women who don’t just break even, but break through to greatness. The percent of women who cited lack of mentorship, advisors and a support community as a leading challenge to their ability to start or stay in business. A robust and collaborative network is critical to business success, regardless of gender. WEI aims to provide peer-to-peer interaction, mentorship engagement and information exchange in an environment designed to promote the significance of social capital, for our community of entrepreneurs. When a woman is empowered, a community is empowered. WEI works intentionally and relentlessly to leverage Atlanta’s burgeoning entrepreneurial ecosystem to amplify women’s contribution to the economic growth of the City – as innovators, problem solvers and ultimately, job creators. We do this by structuring tangible opportunities for women entrepreneurs, whether emerging or aspiring, to navigate a pathway forged to amplify their success and challenge them to think and grow, bigger. 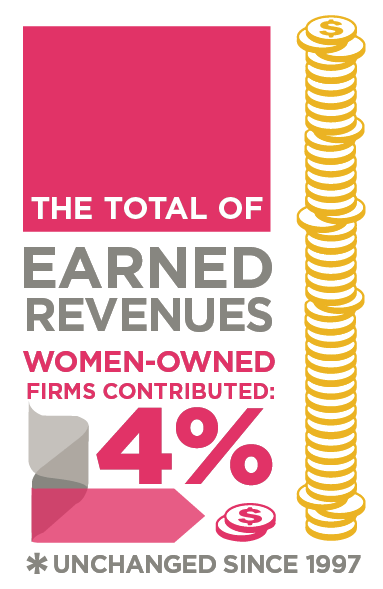 The percent of women’s businesses to successfully scale past the one million dollar revenue mark. WEI works to invigorate opportunities for women entrepreneurs with growth aspirations to realize their goals. We identify, engage and cultivate relationships with creative and traditional funding sources for women business owners who seek to not only break even, but break through.